Data processing platforms exist for streaming analytics, or for transactions but it's hard to find a single platform that delivers both, and even harder to find one that doesn't sacrifice performance or scale. There's a new generation of in-memory operational databases purpose-built for applications that need streaming analytics with transactions, designed with a modern, distributed data processing architecture. The potential value of fast data — data streaming into businesses from mobile, social, sensors and other sources — is clear in the insight gained from real-time analytics, but the ability to understand this data in the moment to make decisions and take action brings additional benefits. For example, an application that counts contestant votes in a reality TV talent show can count votes and identify leaders in real-time. Combine these analytics with real time context and intelligence, such as the ability to limit someone to four votes, or checking voters against a dynamic block list, and you've got the makings of much more sophisticated, smart, and satisfying applications. These applications require analytics and transactions in the same platform, and the ability to execute for every user and every event. Scott Jarr is a technology visionary who brings more than 20 years of experience building, launching, and growing groundbreaking high technology companies. His first job was writing communications software and in that position, he wrote a product called u/VOLTDS. 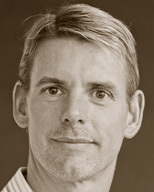 Over two decades later, he is the co-founder of VoltDB. Prior to VoltDB, Scott was a key member of the executive team at SaaS pioneer LiveVault, where he was instrumental in growing the company's subscription business to thousands of corporate customers worldwide. That growth led directly to LiveVault's successful acquisition by Iron Mountain (IRM). Scott has an undergraduate degree in mathematical programming from the University of Tampa and an MBA from the University of South Florida. 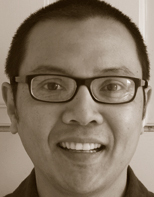 Ben Lorica is the Chief Data Scientist and Director of Content Strategy for Data at O'Reilly Media, Inc. He has applied Business Intelligence, Data Mining, Machine Learning and Statistical Analysis in a variety of settings including Direct Marketing, Consumer and Market Research, Targeted Advertising, Text Mining, and Financial Engineering. His background includes stints with an investment management company, internet startups, and financial services.